From play-by-play at NCAA bowl games to interviewing his little sister, Jesse clearly enjoys the sound of his own voice. Take a listen to some examples from the past. In partner with the innovation Institute at the University of Pittsburgh, Jesse sits down with entrepreneurs, CEO's, kickstarters, and angel investors from around the city to hear how they're changing the way our planet sees our city, and the way our city is changing our world. Jesse hopped on with the legendary Pittsburgh talk show host to talk about the role of fraternities in college, the next generation's view on the current state of our nation, and boogers. 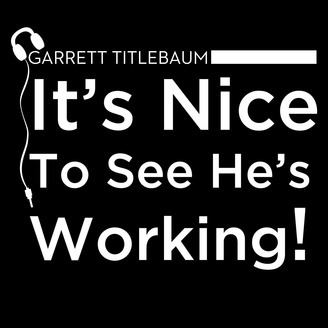 In anticipation of his final episode of Pitt Tonight, Jesse sits down with local comedian Garrett Titlebaum to talk about the conception of the show, future career goals, and how to enter the Pittsburgh comedy scene. 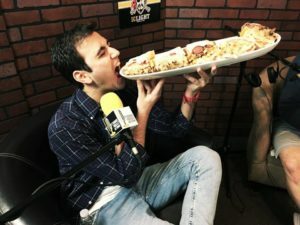 After challenging publicly challenging Jimmy Fallon to an eating contest, Jesse sat down with John and Craig to talk about Pitt Tonight and his thoughts on Primanti's.